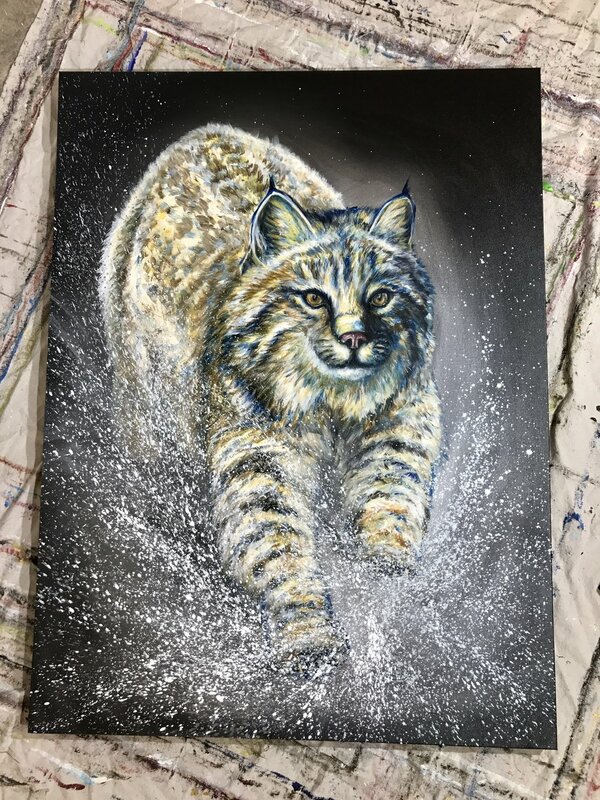 Teshia created Legacy as a homage to the Montana State University Bobcat Athletics. Being a UM (MSU's rivalry!) graduate herself, she has painted several special pieces as a tributes to her beloved University of Montana & her fellow "Griz" fans. This was how pieces such as Dominance & Glorious Griz were born. But....Teshia knew that her Montana mascot collection would not be complete without adding a "Cat" to the mix! 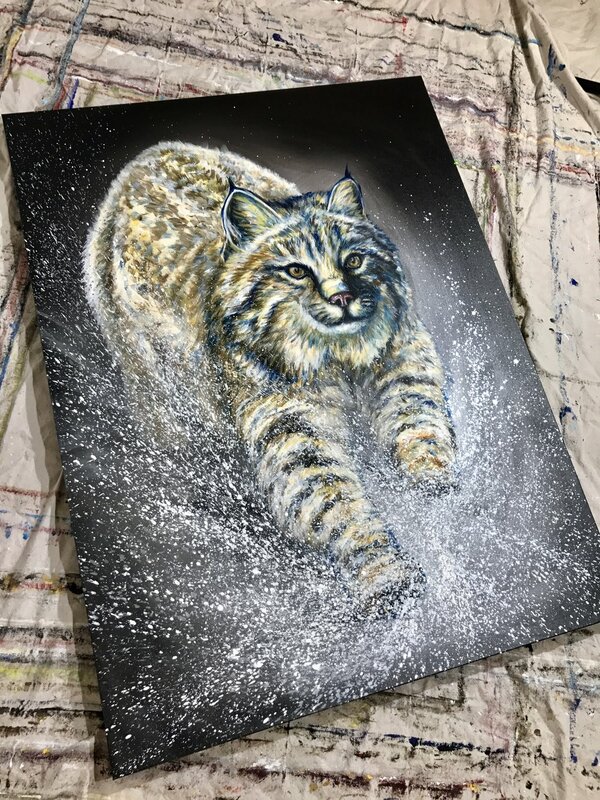 So, she decided to also appease her rival "Cat" fans with a special "MSU bobcat" inspired piece! Besides, what fun would any of it be without a little competition? Teshia's goal in creating "Legacy" was for it to be a companion (or rival!) to "Dominance", & would therefore need to radiate a very high level of energy & action, while also capturing a certain uniqueness, allure & magnetism, in order to properly represent the renowned Montana State University Bobcats.